Either Or is the latest concert program from the long-running Soundstream Collective, helmed by Adelaide-based composer and pianist Gabriella Smart. 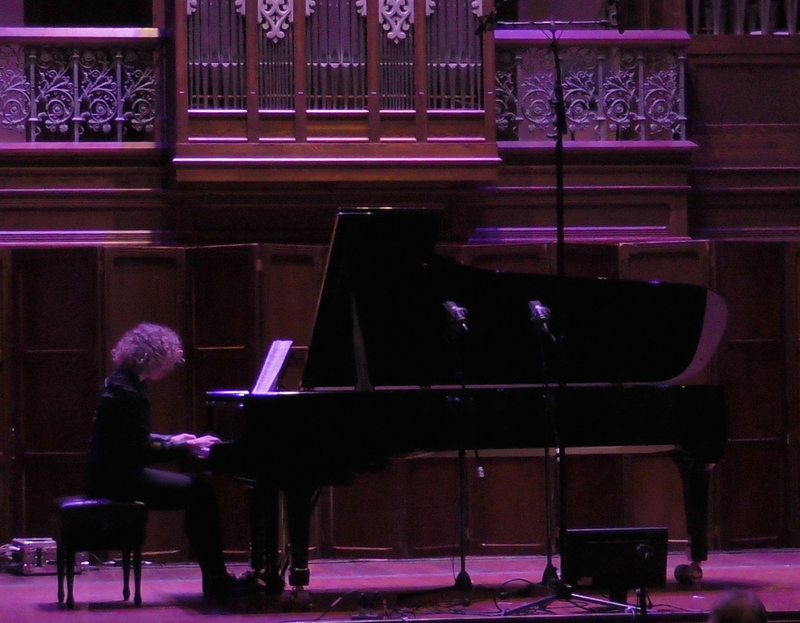 On this occasion, the Elder Conservatorium’s Elder Hall hosted a diverse program of solo and small ensemble works for traditional instrumentation and electronics, taking as its unifying (albeit loose and thoroughly abstracted) theme the construction of language. Disappointingly, Irish composer Gerald Barry’s one-act opera for soprano and piano, La Plus Forte, based on Strindberg’s short play The Stronger, could not be performed, soprano Allison Bell having fallen victim to the vagaries of Adelaide’s weather. If the revised program felt at times insubstantial without the opera’s inclusion, additional works by Erkki Veltheim, Elena Kats Chernin and Alvin Curran nevertheless proved canny substitutions. The evening’s first bracket opened with Cat Hope’s Stella Degradation for viola and cello. Taking its inspiration from Xenakis’ Terretektorh (1955-56) and a version of its accompanying score, the work emphasised glissandi, drone and noise, quiet passages of lightly bowed glissando giving way to abrupt bursts of dissonance. Reading graphic notation on iPads and bathed in crepuscular blue light, performers Erkki Veltheim (viola) and Ewen Bramble (cello) performed with considerable control and virtuosity. An over-reliance on the upper registers of the instruments, however, proved irksome, preventing the harmonic characteristics of the lower registers — an important compositional interest of Hope’s, as displayed in the recent work-in-development showing of her new opera Speechless at Vitalstatistix in Adelaide — from being sufficiently explored. With a structure skillfully and affectingly built over its six-minute duration, Leah Blankendaal’s composition, titled We were met by ordinary devotion, was a concert highlight, with its exceptional marriage of clarinet and electronics. 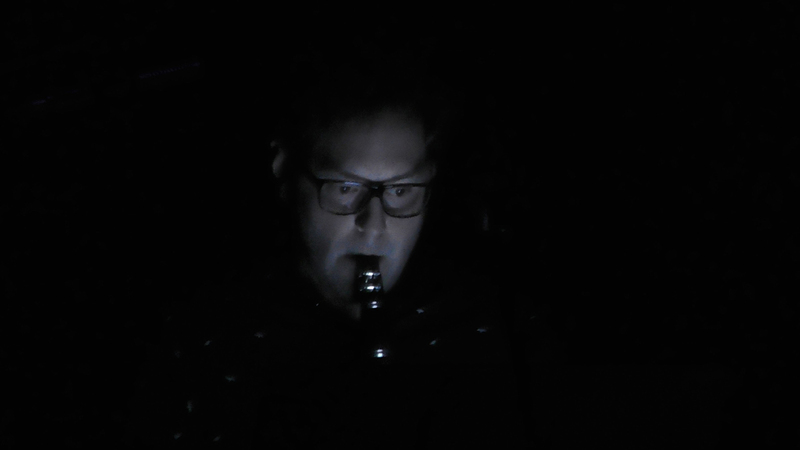 Mitch Berick’s richly tonal high solo clarinet, recalling Messiaen’s birdsong transpositions, contained a distinctive recurring motif that, sampled live and relayed with modulated treatments, fractured and complexified, Blankendaal’s lightly abrasive sonic layering gradually giving way to low rumbles as the work concluded. The use of austere lighting enhanced the performance’s overall effect, Berick illuminated by a single spot centrestage, Blankendaal stage right, lit solely by the glow of her laptop. A Soundstream Emerging Composers Forum commission, We were met with ordinary devotion perfectly demonstrated Blankendaal’s considered choice of instrumentation and treatments while intriguingly exploring ideas of pregnancy, female autonomy and body ownership (the title is taken from Maggie Nelson’s memoir The Argonauts) through the morphing, growing form of the work. The first bracket of the program concluded with Errki Veltheim’s The Continuity Hypothesis, an ambient ensemble work for electronics, woodwinds, electric keyboard and cello, underscored by what Veltheim described in his introduction as a “machine soundscape” (think of those ominous, industrial chugs and drones that bookend Pink Floyd’s “Welcome to the Machine”). However, the work’s near-half hour duration and unvaryingly languid pace challenge without reward, becoming an exercise in audience endurance rather than a dynamic expression of the composer’s interest in “the relationship of (language) processes to the semiotics of musical composition and performance” (program). Veltheim returned to the stage following the interval to perform his Turing Test for improvised viola and electronics. Following a similar compositional approach to that of Cat Hope’s work, the first half of Turing Test — named for Alan Turing’s famous experiment designed to gauge the ability of a machine to think like a human — was characterised by dissonant glissandi, occupying the entire range of Veltheim’s viola. The electronic accompaniment arrived abruptly a couple of minutes in, somewhat unsubtly relaying captures of the viola across stereo delay with granulated textures and pointillist tones. 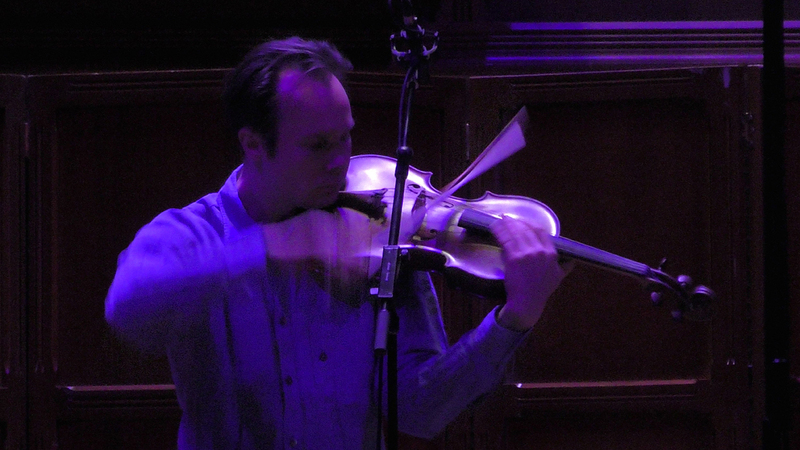 With Veltheim’s bow visibly shredded, the second half offered some reprieve with an exploration of drone and an emphasis on the harmonic qualities of the viola’s tone, which nicely melded with the electronic treatments. Two works for solo piano concluded the program — Elena Kats Chernin’s Piano Memories (1st movement) and Alvin Curran’s For Cornelius — equally impeccably performed by Gabriella Smart. Both offered a welcome contrast to the erratic atonalities of Veltheim’s works, accentuating complex yet frequently spacious tonalities, and strongly reminiscent of Erik Satie’s Gymnopédies and Ryuichi Sakamoto’s works for piano. Kats Chernin’s Piano Memories — inspired by the ‘silence’ of the now-retired piano at the old Alice Springs Telegraph Station — came across as the lighter of the two works, with phrasings tending to drift solemnly before gently slipping away. Curran’s For Cornelius — dedicated to the memory of English experimental composer Cornelius Cardew — developed along similar lines, its comparably pensive mood underscored by subtle dissonances that made for an uneasy, funereal first half. Contrastingly, the second half saw an abrupt shift to pounded open chords, cascading aggressively with sustain but impressively controlled by Smart. Given La Plus Forte’s regrettable omission from the second half of Either Or’s program, Gabriella Smart and company must be commended for curating a replacement suite of works at such late notice that complemented the rest of the program in terms of relative tone and consistency. Of the newer works presented, Blankendaal’s beautifully realised We were met by ordinary devotion was the most successful, the other works demanding greater expression, depth and momentum to realise their full potential. Tristan Louth-Robins is a sound artist based in Adelaide. Writer and playwright Ben Brooker is RealTime’s Adelaide reviewer for contemporary performance, theatre and dance.